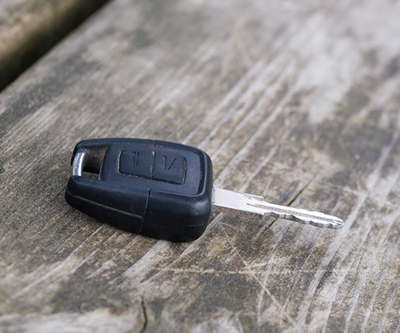 One of your auto dealership customers wants a demo of a vehicle, but the key is missing! Where is the key? How quickly can you find the vehicle key? Who in the dealership might have the key? Has there been a security breach? How long is the customer willing to wait while you search for the key? This scenario happens daily at auto dealerships that do not have an electronic key management system. The key is either on-site, off-site, or stolen. Most of the time, it will be recovered within a few minutes. However, without accountability, sometimes the key is gone forever and must be replaced. And sometimes, the missing key represents a security breach — and when this happens, the dealership’s inventory is in peril. Most of the time, the vehicle key is somewhere on-site. An authorized employee has it in his or her hand, pocket, desk drawer, bag, sticking out of a lock, or on a desk or countertop. Sometimes is has fallen on the ground or floor, or inside a vehicle. The entire dealership is suddenly engaged in a wild hunt for the key. And the primary question is: who last took out that key? If you could identify who is supposed to have the key, the search would focus on this person. They would be required to stop what they are doing and produce the key. Peg boards and closets cannot tell you who has the key. Electronic key management systems do. When you try to remove a key from an electronic key control system, and it’s not in the box, the system will tell you who has it. The search is narrowed down to just one individual, and the key is usually found very quickly. A salesperson accidentally took the key home. Sure, this happens. If you are using a peg board, there is no way to track this down. Cross your fingers that the key shows up before a snowstorm or a demo. You can prevent keys from being accidentally taken off-site. If you have an electronic key control system, just run a keys-out report near the end of each shift. Contact each employee who still has keys checked out, and get the keys checked in. Keys will not be accidentally off-site anymore. Don’t get too paranoid, but it is possible that a missing key has been stolen. If the vehicle is still on the lot, then the thieves are waiting for an ideal time to remove it. If the keys are left in easy reach, the culprit could be anyone. An electronic key control system, however, holds users accountable for every key removed. Therefore, if a vehicle goes missing, the investigation will focus on the person who has the key checked out. Insurance underwriters often ask about the dealership’s key management system. They will consider security when quoting your policy. An electronic key management system keeps the keys locked in a tamper-proof, stainless steel cabinet. Better to prevent problems than mop them up later! At Key Control Systems, we specialize in automobile dealerships. We offer several reliable, rugged, easy-to-use electronic key management systems designed specifically for dealerships. Our systems include a 10-year service agreement at no extra charge. Contact us for more information or to get a quote. How Key Management Boosts Your Auto Dealership’s Security Plan When will my dealership break even on a key management system?